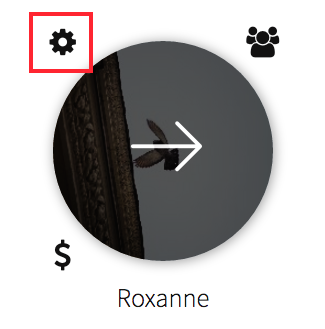 In the "Company Projects" page, hover over a project and click the gear icon in the top left. 2. Scroll down to the bottom of the "Project Settings" page. 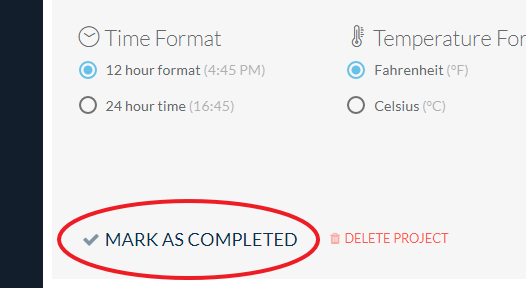 Click the "Mark Project as Completed" button. 3. That's it! 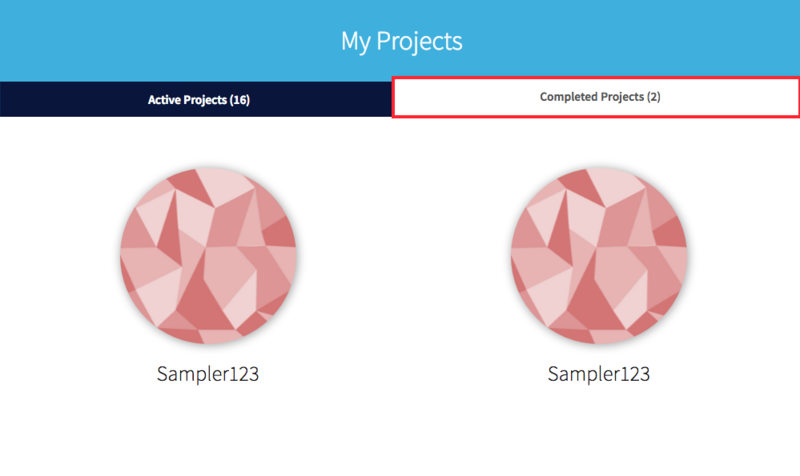 To access the completed project, go to the "Completed Projects" tab on the projects page. If you'd like to reactivate a completed project so that you can edit it again, just reactivate the project.